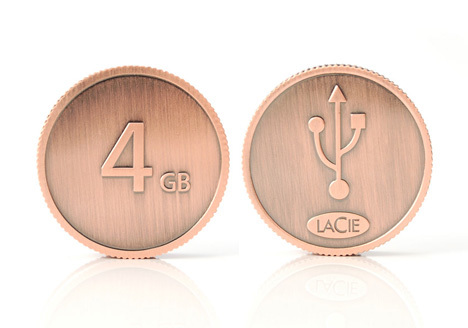 Or perhaps you’d like the Euro coin instead? 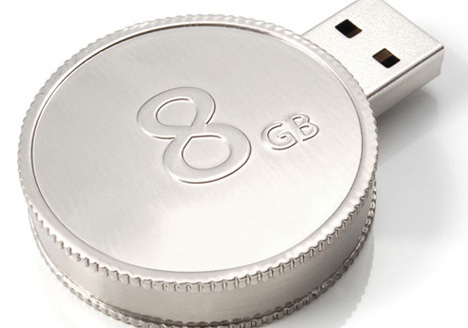 I’m sure you remember the Lacie “USB Keys” post on Gizmodo earlier this month. 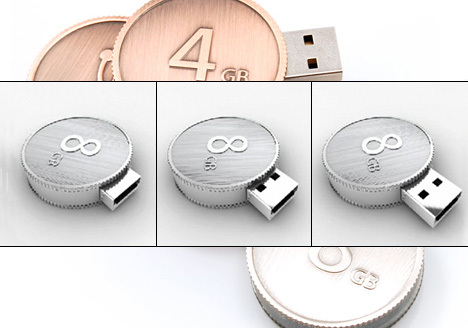 That’s clever, and all, but these keys are way cooler. Way, way cooler. Because they are little metaphors. Get it? However much storage space you’ve got - that’s your richness in spirit. 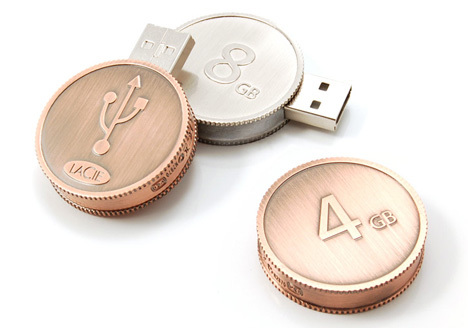 Realized in a coin shape and not without humor, the USB key becomes a real currency which can see devaluing or undergoing the inflation according to the stock market prices of the memory Flash. In the middle of a crisis financier, this object reminds us the excessive capitalization on consumer goods which exercise the main actors and the analysts of the market. A speculation influencing and disrupting our appreciation of the things value. 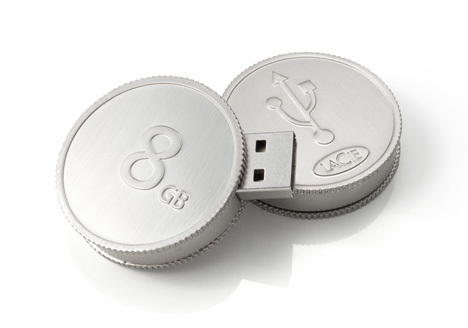 The coin is a coin until you turn the top, revealing the USB connector. Be sure not to lose this in with your other change - unless you’re so very in to this idea that you plan on spending it.